On Friday, December 15, Lockheed Martin delivered the 66th F-35 aircraft for the year, meeting the joint government and industry delivery target for 2017. These aircraft bring to 265 the total number of F-35 aircraft delivered to U.S. and international customers. 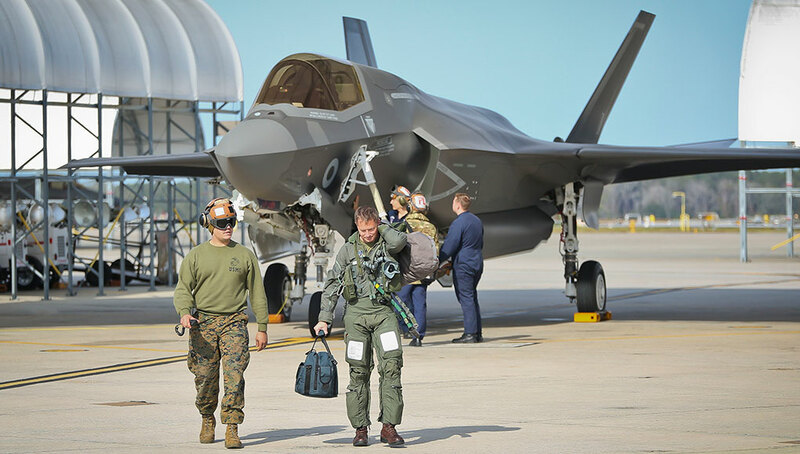 More than 530 pilots and nearly 5,000 maintainers have been trained, and the F-35 fleet has surpassed more than 115,000 cumulative flight hours. The delivery rate in 2017 represents more than a 40 percent increase from 2016, and the F-35 enterprise is prepared to increase production volume year-over-year to hit full rate of approximately 160 aircraft in 2023. 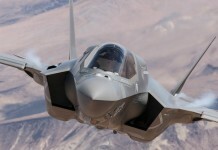 As production ramps and additional improvements are implemented, Lockheed Martin’s goal is to reduce the cost of an F-35A to $80 million by 2020. “The team continues to overcome program challenges and achieving this milestone gives our customers confidence that the F-35 enterprise can deliver on the increasing production quantities year-over-year,” said Lockheed Martin Executive Vice President and F-35 Program General Manager Jeff Babione. Process efficiencies, production automation, facility and tooling upgrades, and supply chain initiatives are some of the improvements implemented through the F-35 enterprise, resulting in continuous cost reductions. In contrast to these positive news, the Pentagon’s contract management agency said the number of aircraft delivered in 2017 came short of its annual goal, because the 66 delivered included nine planes that were supposed to be delivered in 2016. According to a report published by Bloomberg, monthly deliveries of F-35s through 2017 were slower than scheduled. Nevertheless, the agency said delays were smaller this year, compared to those recorded in the past four years. 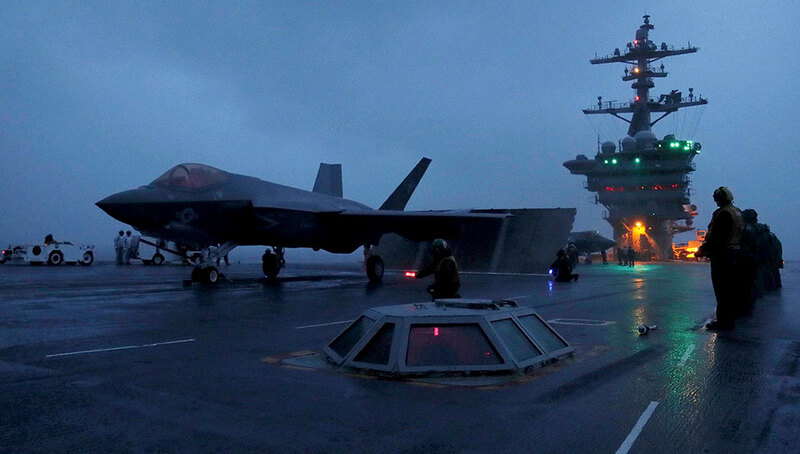 On the first week of December, while deployed at sea, the aircraft carrier USS Abraham Lincoln (CVN 72) successfully completed her qualifications to operate the F-35C Lightning II program. The Lincoln is the first aircraft carrier to qualify to operate the new fifth-generation fighter. Abraham Lincoln completed its four-year-long mid-life overhaul and refueling in May 2017 and is currently underway conducting carrier qualifications and training. The Lincoln is considered the Navy’s most modernized and capable Nimitz-class aircraft carrier. Apart from the F-35C support systems she also has enhanced air search and air traffic control radars, Consolidated Afloat Networks and Enterprise Services (CANES), a modernized Command, Control, Communications, Computers, Intelligence, Surveillance and Reconnaissance (C4ISR) suite and even new crew galley equipment. 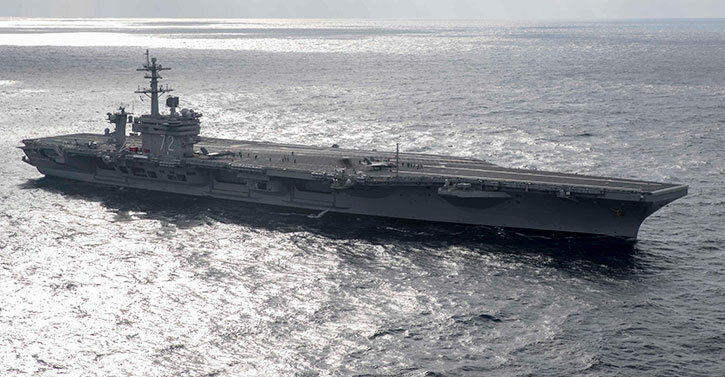 The Nimitz class Lincoln deployed the F-35C using standard steam catapults, unlike the first next-generation carrier – CVN-78 Gerald R. Ford, that uses the new Electromagnetic Aircraft Launch System (EMALS). Abraham Lincoln operated in inclement weather during a portion of the qualification process, which gave the squadrons varying condition to test the Joint Precision Approach and Landing System (JPALS). This all-weather system works with the ship’s navigation system to provide accurate and reliable guidance for the aircraft. 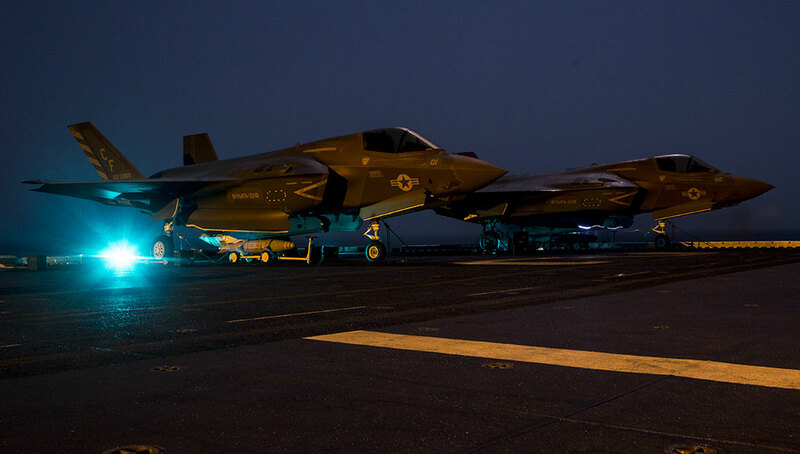 Prior to this deployment, F-35Cs only used JPALS for developmental testing. 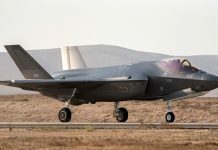 The mission also included the operational use of Autonomic Logistic Information System (ALIS) – the F-35 logistical support system. Among those recently supplied planes was the 14th F-35B delivered to the Royal Air Force. The British F-35s will be able to operate on land or embarked on the UK’s new aircraft carriers. The first of the two ships – HMS Queen Elizabeth Carrier (QEII)was commissioned into the Royal Navy earlier this month. The aircraft are expected to arrive at RAF Marham in Norfolk by the summer of 2018, to join 617 Squadron that is scheduled to achieve Initial Operating Capability (IOC) from land next year. The unit will also perform the carrier flight trials on QEII and plans to achieve Initial Operating Capability Carrier Strike in 2020. The UK has taken delivery of its 14th F-35B Lightning II which flew into Beaufort, South Carolina last week. 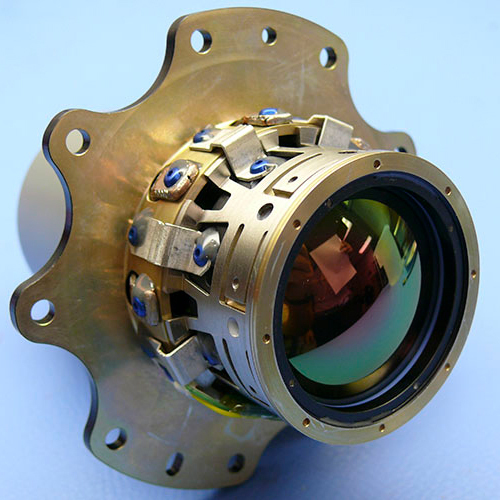 Photo: Crown Copyright, UK MOD. Marham will be the Main Operating Base for the Lightning Force in the UK and from here, they will deploy forward to either embark on-board our Queen Elizabeth Class aircraft carriers or operate from Deployed Operating Bases. Following successful trials on the land-based ski-ramp design which is featured on the UK flagship, and with the RAF Marham runway infrastructure completed as part of a £250m major investment programme in preparation for the F-35 arrival, Defence Minister Harriett Baldwin earlier this year announced that the F-35 was cleared for take-off. 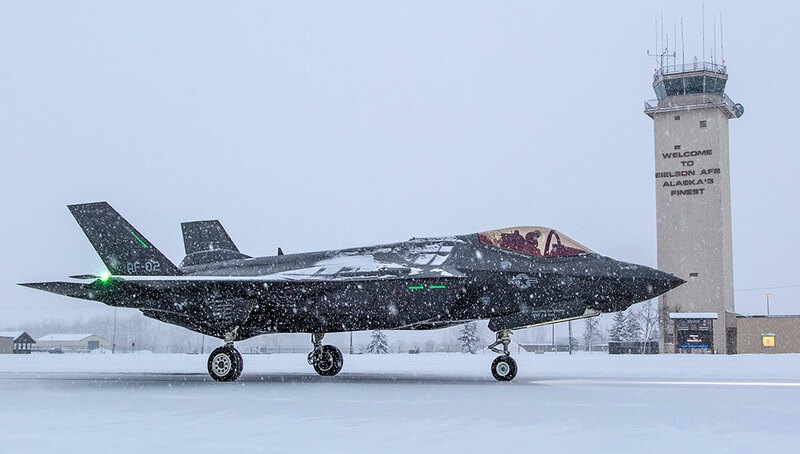 Other preparations include extreme cold weather testing of F-35A for the Norwegian Air Force. Tests on the icy runway were performed at Eielson Air Force Base, Alaska as part of the certification process for the Norwegian air force. The second phase of testing will deploy the Norwegian drag chute during landing operations and is planned for first quarter 2018 at Eielson. 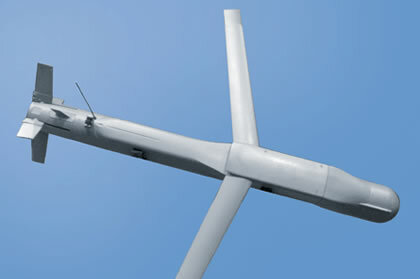 The F-35A drag chute is designed to be installed on all of Norway’s F-35As and is form fitted to ensure it maintains stealth characteristics while flying.